Six Russian servicemen have been killed and several more injured in a militant attack on a Russian National Guard base in the Chechen Republic. The incident took place near the Chechen village of Naurskaya, 70 kilometers north-west of Grozny. The beginning of the deadly attack was captured by CCTV cameras. In footage released Friday, the armed militants can be seen entering the Russian base in the darkness of the night hours, running one by one past a barbed wire fence. The militant group was spotted by an army detachment, which confronted it. Six attackers were killed. At the same time, six servicemen died in the shootout too while several more were wounded. The National Guard says the militants took advantage of the thick morning fog for the attack. 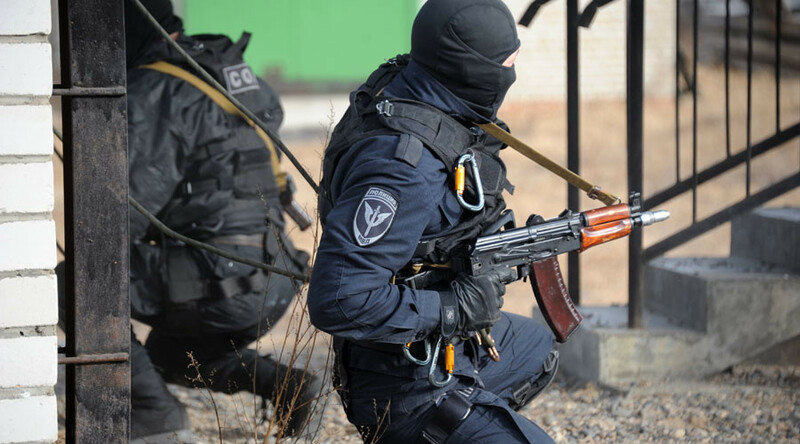 Last December, militants attacked the capital of the Chechen republic, Grozny, targeting policemen. After a day-long operation and a fierce shootout in the center of the capital, police were able to kill all seven assailants. Russian President Vladimir Putin called the attack in Chechnya “a grave incident.” At the meeting with the French presidential candidate Marine Le Pen, Putin noted that Russia, just like France and most recently the United Kingdom, has frequently been subject to terrorist attacks. “Only today in the North Caucasus, in Chechnya, we had a grave incident, when one of the units of our National Guard was attacked by terrorists,” he said.